Dr. Bianca Shaughnessy is honored to serve as the principal at Tomball Intermediate School. 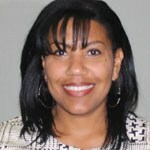 Prior to joining Tomball ISD, she served as an elementary teacher, elementary assistant principal, and elementary principal in Galena Park ISD. Bianca earned her Bachelor’s degree from Texas A&M University. 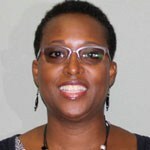 She earned both a Master’s degree in Educational Management and a Doctorate degree in Educational Leadership from the University of Houston-Clear Lake. In 2013 she married her husband, Brandon, and they have two children (Bryan and Brooklyn). She enjoys running, watching sports, traveling, and spending time with her family and friends. 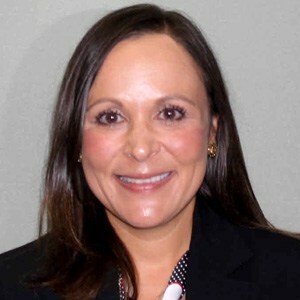 Dr. Myriam Quintero Khan has the honor of serving as Assistant Principal at Tomball Intermediate School. Dr. Khan has 18 years of experience working in elementary, secondary, and college level. She has taught 3rd grade Bilingual, 9th thru 12th Spanish in Spring ISD, and has served as a team leader, teacher mentor, assistant principal, Alternative Teacher Certification Program field supervisor, dropout advisor and researcher at the University of Texas at Austin. 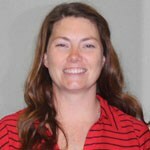 Her passion as an educator is to collaborate with students, teachers, and parents in order to support student learning and create meaningful learning experiences that will prepare students to succeed in the career path of their choice. Dr. Khan earned her Bachelors of Liberal Arts degree from The University of Texas at Austin, a Master’s degree in Education Administration from St. Thomas University, and a Doctorate in Educational Leadership from Sam Houston State University. She has been married to her high school sweetheart for 15 years and they have twin boys (Matin and Isaac) who proudly attend Tomball Intermediate School. My name is Lisa-Anne Pedersen, and I am honored to serve as an Assistant Principal at Tomball Intermediate. I am a proud graduate of the University of Houston, receiving a Bachelor of Science (1990) and a Master of Business Administration (1992). After many years of working in the energy industry, I decided to pursue my passion and began my education career as a sweetheart teacher in Klein ISD. Since joining Tomball ISD in 2008, I have had the privilege of serving as a Teacher, Instructional Specialist, and now Assistant Principal. In addition to being an educator in the district, I am also a proud parent of two TISD students - THS class of 2013 and TMHS class of 2020. I look forward to getting to know you and your child during your time here at Tomball Intermediate. Ashlee is in her 8th year in education and comes to Tomball Intermediate from Bear Branch Junior High in Magnolia ISD where she was a College and Career Readiness Teacher. She received her Bachelor of Science in Criminal Justice from Sam Houston State and Master in Education-School Counseling from Lamar University. Ashlee is currently taking courses to sweetheart her Licensed Professional Counseling (LPC) certification. She is married to her high school sweetheart and they have two kids (Amie-10 and Austin-8). Ashlee is excited to join TIS! TIS: Where Champions are Made!